St. Catharine Church Just Got FORMED! Church of St. Catharine>Parish Ministries>St. Catharine Church Just Got FORMED! Our parish has purchased a subscription to FORMED, a wonderful website that has been called a “Catholic Netflix.” FORMED has inspiring movies and video based programs, audio presentations and e-books from the Church’s most compelling speakers and authors. It is our hope that you will explore FORMED and learn about various resources that will help you grow in your relationship with Jesus Christ. We also hope you will find specific resources that will help you in your ministry at the Church of St. Catharine. Use your computer, tablet or Smartphone to get started. 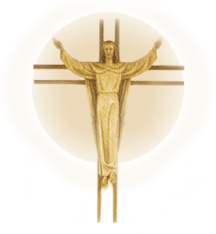 Also join the Church of St. Catharine FORMED Community on Facebook by clicking HERE!